yegPumps had the most liked content! I have been wearing heels to work, on and off for a couple months now. I have been really happy with the response to them. I just transferred into this area shortly before I started wearing heels and they have certainly been a good conversation starter. :-) Overall, I've found that comments on my heels in public have been positive about 90% of the time. My wife is very supportive. She insisted I get the shiny 2.5" heels above...which ended up being the first ones I wore out to work and a mainstay in my rotation. My daughters are too young to have much of an opinion, and I hope my doing this means they remain open-minded view in the future. Here are the two pairs of heels I wear most often (see next two posts). I'm looking to add some heeled sandals to the rotation. 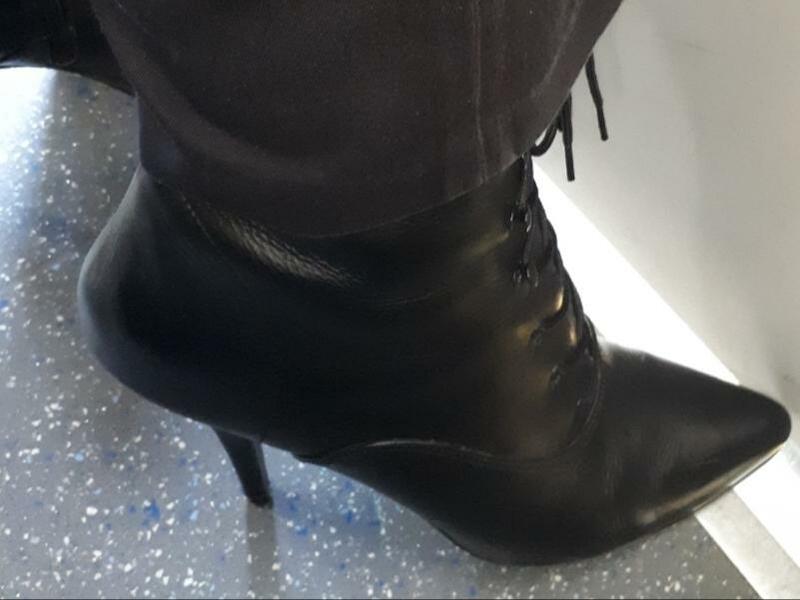 I love the Oxford heels, as they are essentially a male style with heels. I have a pair of red pumps, but they don't really interest me. I seem to prefer styles that are almost male (in a sense). Though, to be honest, I find the idea of some styles abeing male and others being female to be a bit ridiculous. It doesn't matter what your anatomy is...we all have feet.